What is the Fraser Education Foundation? The Fraser Educational Foundation is a non-profit, tax-deductible organization. The objective of the foundation is to provide funding that will enhance teacher creativity, student enrichment and community involvement through activities that go beyond the scope of normally funded school budgets and responsibilities. Typically the basis and intent of any educational foundation is to provide non-traditional funding for non-traditional projects, activities and classroom materials. The foundation supports the schools in our district through grants and minigrants. The money is raised through donations from teachers, individuals and local businesses as well as a variety of fundraisers during the school year. During the last 20 years, the Fraser Educational Foundation has averaged $8,000 in grants annually. Who Does the Foundation Help? The grant program supports funding for all levels (DK-12). Some examples of recent projects the foundation has supported include grants for the purchase of books, supplemental education programs and establishing MakerSpaces. Anyone is welcome to make a tax-deductible donation at any time. Four grants were awarded for a total of $4,920.65! For Data Collection Technology. Purchasing Vernier Probeware and 10 Go Direct Motion Detectors. To purchase materials, supplies, and needed equipment to expand on the Makerspace Activities. 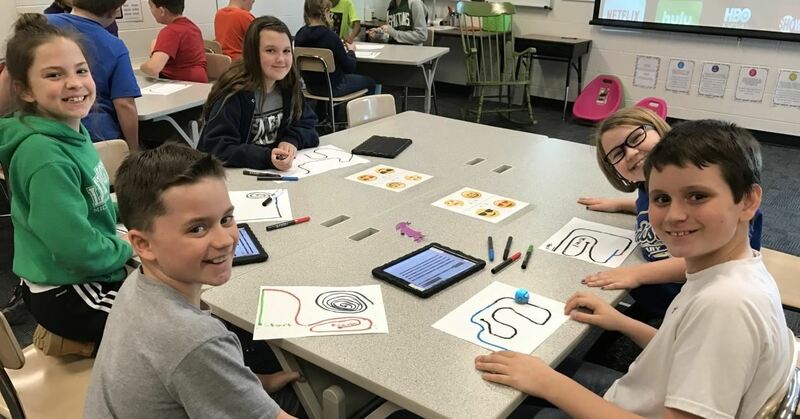 To purchase 6 Droid Inventor Kit’s and 1 STEAM Student Set for Makerspace Station which serves as an inventory for resources and housing for STEAM Challenges. For Peer to Peer Support, grades 1-4 to work together on Lego/Robotics Activities with the purchase of Robot Garage.